Victor Ortiz is an American professional boxer and also a film actor. He won the welterweight title in 2011. The Ring magazine, BoxRec, ESPN, and other sporting news and boxing websites rated Ortiz as one of the top welterweights in the world at the time. ESPN named him the ESPN Prospect of the Year in 2008 for his crowd-pleasing and aggressive fighting style. He was given the name Vicious. Besides boxing, the 31-year old Ortiz has also played roles in the films The Expendables 3 (2014) and Southpaw (2015). Ortiz also made a cameo appearance in the TV series Ray Donovan. 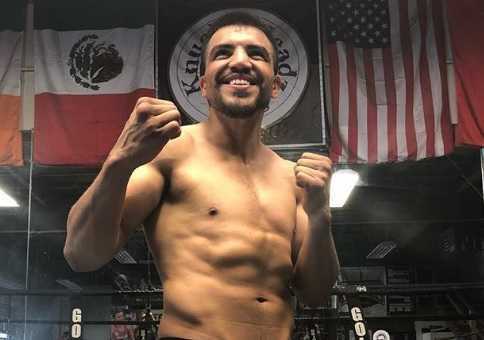 Victor Ortiz turned himself to the local authorities at Oxnard Police Department on September 25, 2018, five days prior to his fight against former world title challenger John Molina Jr. The same day, he was charged with multiple sexual misconducts. According to Ventura Country Superior Court, the assaults took place in March 2018. A woman alleged she was sexually assaulted by Ortiz and was presented to a local hospital. Following an investigation, they were able to obtain enough sufficient evidence to obtain arrest warrant of Ortiz. Following new circumstances, his fight against Molina on September 30 was canceled. Victor Ortiz was born on 31 January 1987 in Garden City, Kansan, Unites States. He is the third of four children of Mexican parents. His mother abandoned them when he was seven years old. His father Victor Ortiz Sr. then became an alcoholic and Ortiz started boxing. Five years later, his father abandoned them as well. Ortiz was 12 years old and he along with his siblings were forced into the Kansas foster care system. In 2002, Ortiz's older sister turned adult legally and she moved to Denver, Colorado. Ortiz and his younger brother left Kansas to live with his older sister. Ortiz graduated from Pacifica High School. Amateur Career: Ortiz started training at a Salvation Army Red Shield Community Center, where former heavyweight boxing contender Ron Lyle noticed Ortiz. Lyle was a supervisor at the center back then. Lyle was impressed by the young Ortiz and guided him to a Junior Olympics tournament when Ortiz was sixteen years old. Ortiz won the 132-pound weight division with a perfect 5-0 round. This time, another former boxer and former IBF Super Featherweight Champion Roberto Garcia noticed Ortiz's talent. The fight against Amir Khan was one of Ortiz's notable early amateur fights. Ortiz lost against Amir in a second-round stoppage. Ortiz then got a chance to train at Oxnard's famous La Colonia Youth Boxing Club in Oxnard, California. Garcia offered to train Ortiz and later became Ortiz's legal guardian. Ortiz won 2003 Police Athletic League national championships in Toledo at the age of 16. At seventeen, Ortiz reached the United States Olympic boxing trials in the 132-pound weight class. Ortiz was eliminated in the champion's bracket semifinals. In 2004, Ortiz turned professional when he was just seventeen years old. He was trained at The Garden City Boxing club by Ignacio "Buck" Avila, Manuel Rios, Antonio Orozco Sr., Juan M. Aldana Jr., and Alfred Ritz.Ortiz won the Ringside National Title in 2001 and 2002 as well as National Jr. Olympics in 2002. Victor started his professional career with wins against weak oppositions. He faced and defeated well-known opponents like Emmanuel Clottey of Ghana and former junior welterweight titlist Carlos Maussa of Columbia in 2007, and Roberto David Arrieta of Argentina in 2008. ESPN named Ortiz the boxing Prospect of the Year 2008. Ortiz's first bout televised on HBO Boxing After Dark was on 7 March 2009 against Mike Arnaoutis of Greece. None of the top-ten light welterweight contenders had ever knocked Arnaoutis out before. Ortiz defeated him in the second round via technical knockout. Ortiz faced Marcos Rene Maidana of Argentina for the Interim WBA Light Welterweight title on 25 February 2010. Maidana won the bout after Ortiz suffered a cut in the 5th round and did not continue further. Ortiz defeated former WBA Light Welterweight Champion Vivian Harris via knockout in the third round. Ortiz fought a draw-bout against Lamont Peterson on December 11, 2010. Ortiz became the WBC Welterweight Champion after defeating Andre Berto in a tough fight at the Foxwoods Resort Casino, Mashantucket on April 16, 2011. The bout was named The Ring magazine's "Fight of the Year" for 2011. Floyd Mayweather Jr. and Victor Ortiz faced each other at MGM Grand Garden Arena on 17 September 2011. Mayweather controlled the first three rounds, Ortiz controlled the fourth. Ortiz headbutted Mayweather out of frustration and the Referee called timeout. As the fight resumed, Ortiz approached Mayweather in the center of the ring and tried to apologize and even hugged Mayweather. Ortiz had his hands down right after apologizing, and Mayweather threw a left hook onto Ortiz's chin. Ortiz dropped and could not beat the count. Ortiz met Berto after five years in a rematch on April 30, 2016, at the StubHub Center in Carson, California Bertro went down several times and referee stopped the bout in the 4th minute. After the win, Berto stated that he would be willing to fight Ortiz again. Ortiz returned to boxing after a year, on 30 July 2017 and defeated Saul Corral of Mexico. Ortiz was scheduled to box against former world title challenger John Molina Jr on September 30, 2018. Five days prior to the bout, on September 25, Ortiz was charged with multiple counts of sexual assault. According to the Oxnard Police Department, Ortiz turned himself into the local authorities on the same day. A day later, Ortiz was dropped from the card against Molina. 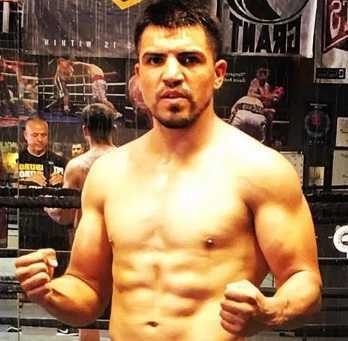 Victor Ortiz is 5 ft 9 inch tall and weighs 67 kg. He is in a long-time relationship with his girlfriend, Deborah Mather. The love couple had their first child, a boy, Royal back in January 2017. However, the couple has maintained their personal life private, away from the limelight. At present, he lives in Ventura, California. Victor Ortiz, an American professional boxer, and the former WBC Welterweight Champion have a net worth estimated at $7 million. He pocketed $2.5 million in the 2011 fight against Floyd Mayweather Jr. Victor has also earned from playing a role in movies. He has only lost four of his 35 professional fights. Ortiz became successful winning 2003 Police Athletic League national championships in Toledo at the age of 16. Ortiz, at the age of seventeen, turned professional. Ortiz was controversially disqualified in the first round of a bout against unknown Corey Alarcon in Oxnard.